]F/S ar 15 in 204 ruger platform all first class components. it has only been cycle tested. i made 3 of these . will let one go. 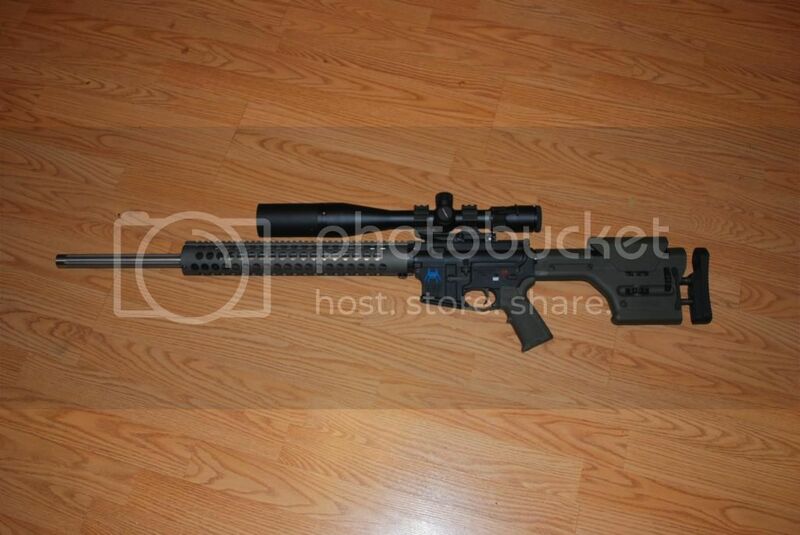 spikes lower 24 inch stainless fluted barrel magpul prs stock MI free float forearm. vortex viper 6.5x20x50 scope just mounted for pic.600.00 in the scope alone. burris mount. will ship only to your ffl. in a alum gun case new also. my other 2 are tacdrivers 1575.00.OBO cashiers check only please. THIS RIG has only big cycle tested 15 rounds. pm questions or offers no trades will not part out. be reasonable with offers no lowballs 1575.00 is tyd insurance is extra.... PM FOR PICTURES CANT FIGURE HOW TO POST THEM http://i1250.photobucket.com/albums/hh524/seitz367/ar/DSC_8585_zps78c40989.jpg"
reduced to 1500.00 to your ffl. plus 2- 20 round mags insurance extra..... pm questions dont post to add so it dont get locked.